Are you afraid to do things in case you don't succeed? Want a way to tackle anything no matter what the end result? Failure isn't the end of things - it's just a new beginning. Every time you fail gives you another opportunity to learn something, and the people that really succeed are the ones who see failure as feedback, turning defeat into victory. 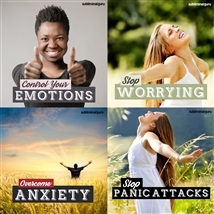 With the Overcome Fear of Failure subliminal session, you'll see every outcome as another success! As you listen, thousands of powerful positive affirmations will influence your thinking, helping you adopt a constructive attitude. You'll start to approach projects fearlessly, knowing that you can deal with whatever happens. You'll focus on finding the possibilities, rather than letting obstacles keep you from making progress. Laugh in the face of failure! 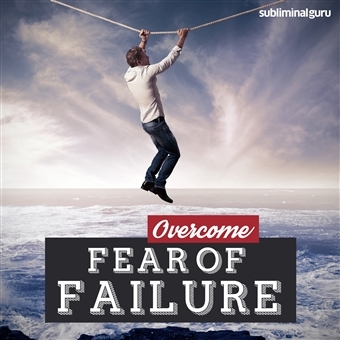 Download the Overcome Fear of Failure subliminal audio now to treat failure as friendly feedback now and in the future. I know that nobody is perfect. Failure helps me identify areas where I can improve. I give my all and do my best. I embrace experiences and learn from them. I am perfectly fine no matter what happens. I bounce back quickly and easily. Every failure is a chance to do better. I treat failure as a stepping stone to success. I stay positive and focused on my goals. I allow myself to fail and grow.